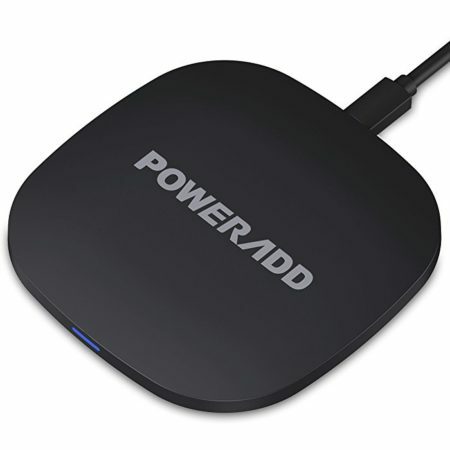 Save your cable for charging with this universally compatible wireless charging pad from Poweradd, just put your phone in the central inductive area and charge starts immediately thanks to Qi certificated technology. 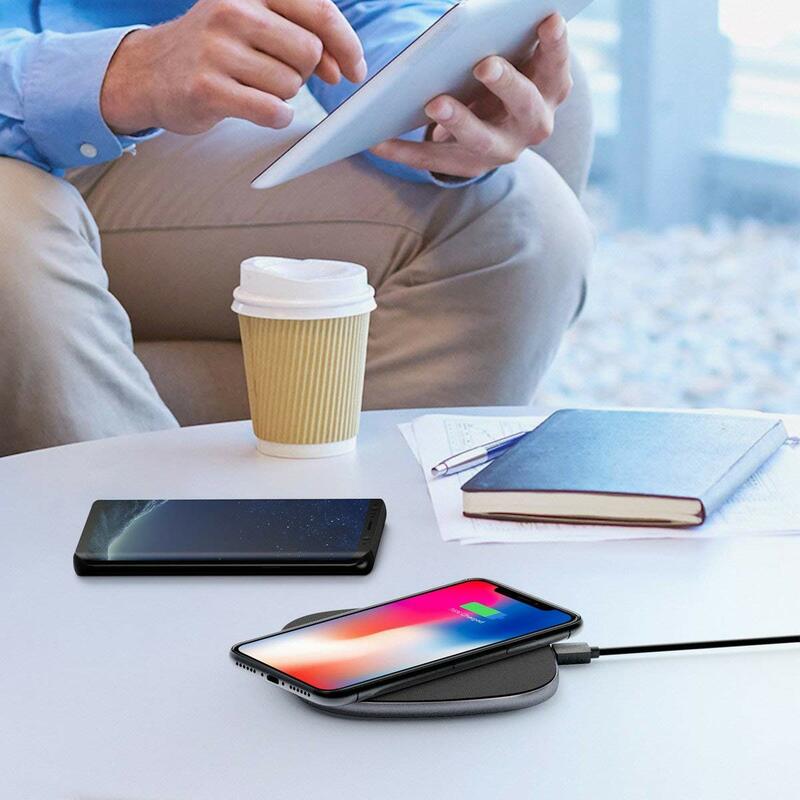 Never worried about your phone slipping from it because matte finish makes it stay well in the middle of charging, a small size allows for portability and handiness, also takes up a small footprint on your table. 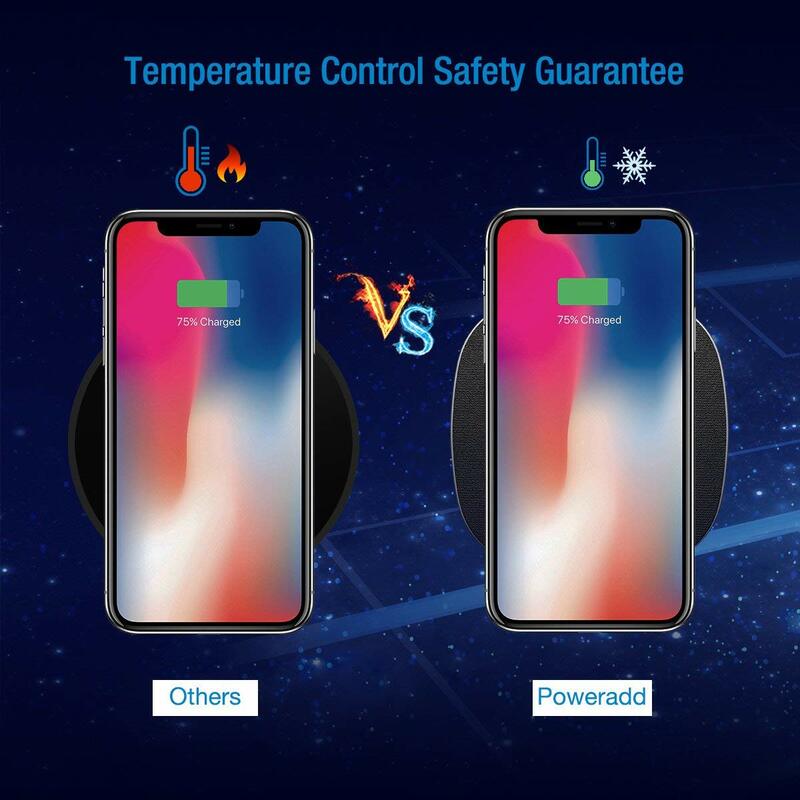 You will be informed of charging status when charging in on via functional LED indicator, keeps your phone from overcharge with a clear full charge indication. 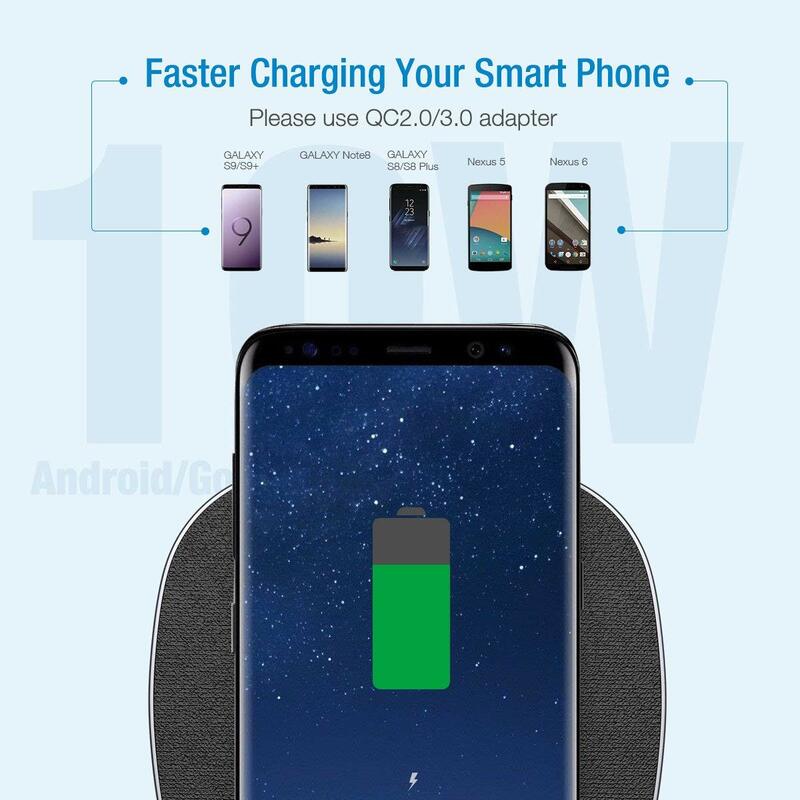 Plastics-made wireless charging pad is designed with jeans fabric texture surface due to special workmanship, thus keep your phone from slipping while charging. 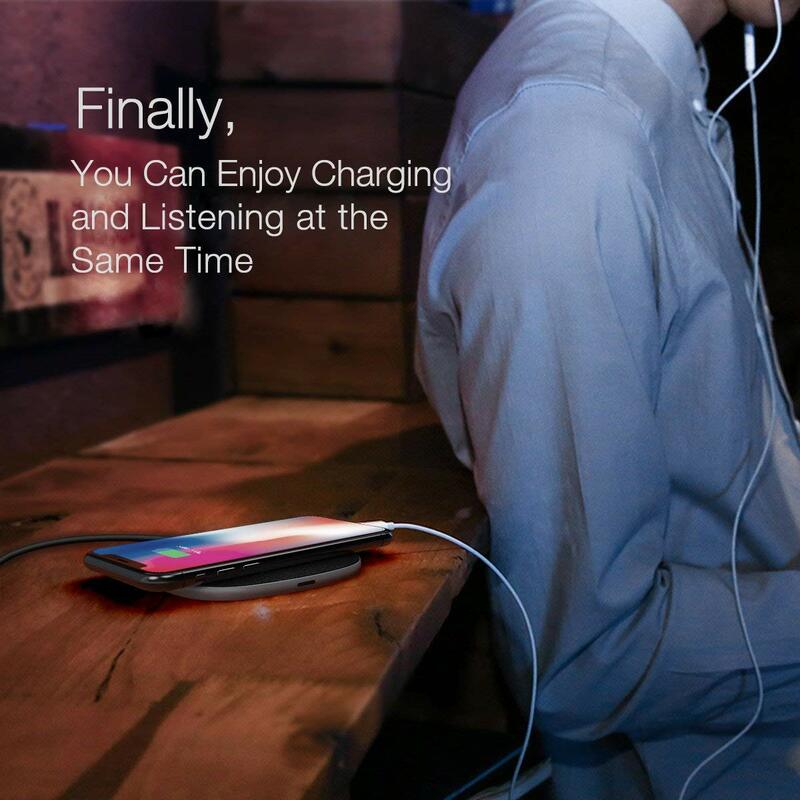 Additionally, the bottom are added with four silicone pads, which keep the charging pad in place. 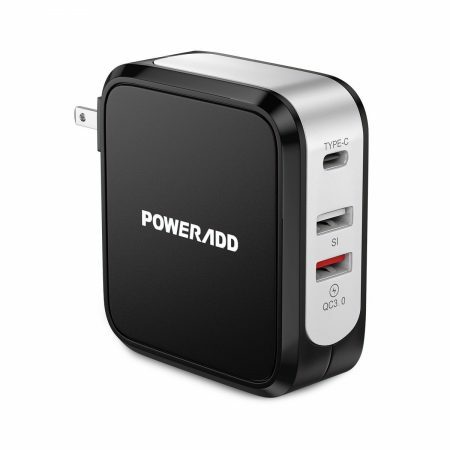 There is no struggling with cables and go straight to the power supply with this compact wirelss charger, simply put your Qi-enabled devices on the pad and the charging starts immediately, charging and listening are both allowed even your phone only has one port. 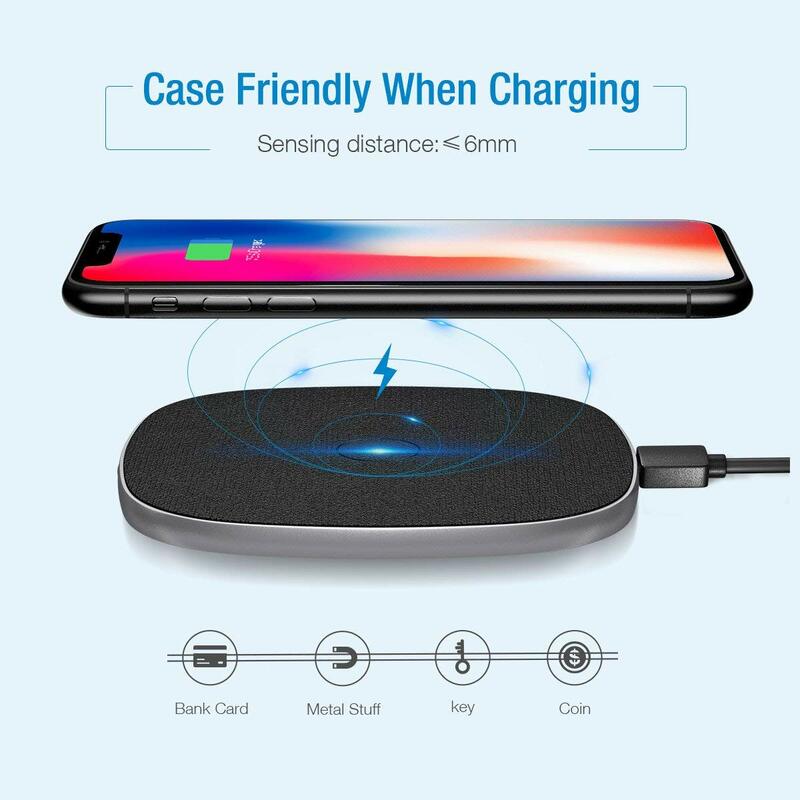 LED light blinks once as soon as it connects to power supply and blue LED light always blink during charging condition, while never trouble your peaceful sleep at night. 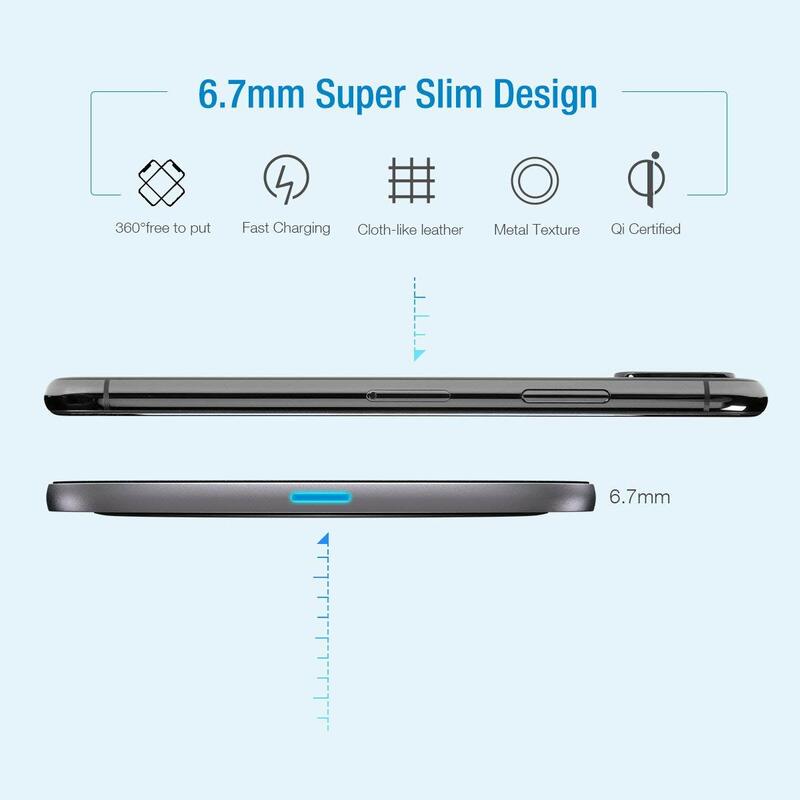 6.7-mm thickness makes it fit into your palm and pocket easily, perfect item to take it on the go. 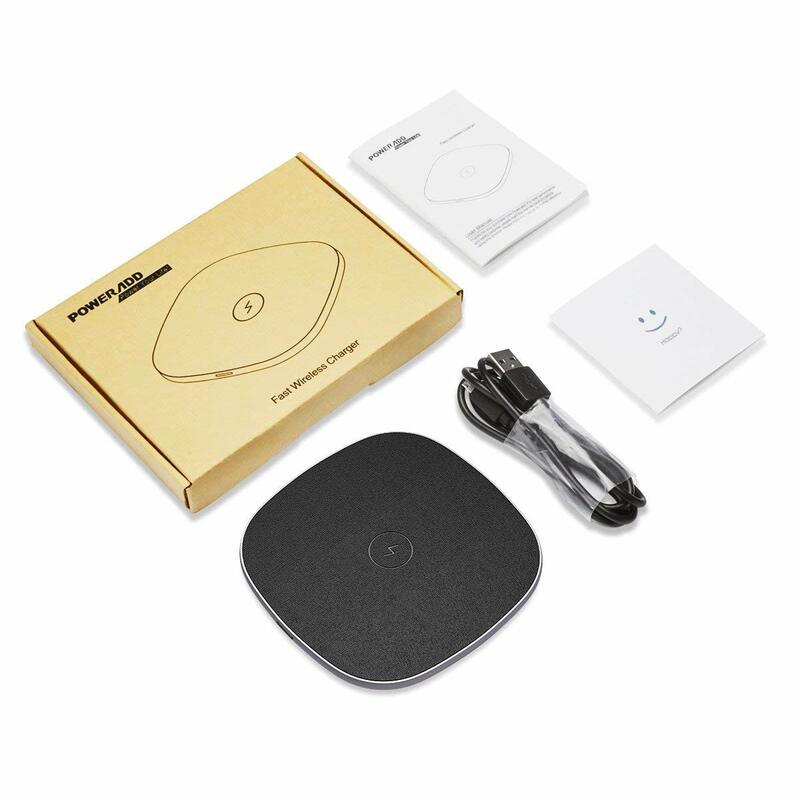 This device has widely compatible with quite a few devices as long as they are equipped with up-to-date Qi wireless technology.